Currently, I am working as an Associate Professor in Computer Science and Engineering and Dean of International Affairs at IIT Indore (India). Earlier, I completed a postdoc under Prof. Peter Benner at Max Planck Institute in Magdeburg (Germany). I completed my Ph.D. under the direction of Prof. Eric de Sturler from Virginia Tech (USA). 1) Mathematics: numerical linear algebra, numerical analysis, optimization. 2) Computer Science: computational intelligence, big data, social cloud. 1) Game Theoretic Approach to Social Cloud. 2) Stability Analysis and Preconditioners applied to Model Reduction. 3) Classification and Clustering for Biology Applications. 4) Optimization for Electronic Design Automation. USA: Sandia National Labs, Berkeley Lab, Georgia Tech, New Mexico State University, Virginia Tech, and Univ. of Illinois at Urbana Champaign. Germany & France: TU Dresden, IMT Atlantique, TU Braunschweig, Max Planck Institute in Magdeburg, RWTH Aachen, and TU Berlin. Associate Professor in Comp. Sci. & Engg. 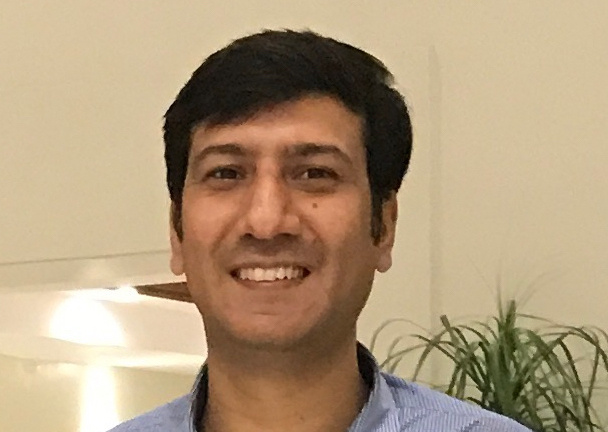 Dr. Kapil Ahuja is a Visiting Professor at Computer Science Research Institute, Sandia National Labs, USA, Summer 2018. Visit to NYU and NMSU (USA). Dr. Kapil Ahuja visits New York University (Courant Institute) and New Mexico State University, USA for research talk and collaboration, May 2018. Dr. Kapil Ahuja's research project is approved under DAAD's Bilateral Exchange of Academics Program (with TU Dresden), Apr 2018. Visit to IIT Kanpur, IIT Ropar, and IIM Lucknow. Dr. Kapil Ahuja visits IIT Kanpur, IIT Ropar, and IIM Lucknow for research talk and collaboration, Feb-Mar-Apr 2018. French Future Tour and Knowlege Summit. Dr. Kapil Ahuja is invited for participation in French Future Tour (CMI, Chennai) and Knowlege Summit (New Delhi), Feb-Mar 2018. Paper Accepted in Expert Systems. Joint paper of Mr. Aditya A. Shastri (Ph.D. student), Dr. Deepti Tamrakar (Postdoc) and Dr. Kapil Ahuja accepted in Expert Systems with Applications (Elsevier Journal), Jan 2018. Visit to France, Belgium, Germany. Dr. Kapil Ahuja is invited for research talk and collaboration at IMT Atlantique (France), UC Louvain (Belgium), Univ. of Stuttgart (Germany), Jan 2018. Dr. Kapil Ahuja's research project is approved under DST-SERB's Mathematical Research Impact-Centric Support (MATRICS) Scheme, Dec 2017. Poster Accepted in COMSNET 2018. Joint work of Mr. Jain, Mr. Sai Teja, Mr. Mane, Dr. Ahuja, and Dr. Krishnamurthy accepted for a poster presentation in COMSNET 2018, Dec 2017. Joint paper of Mr. Rajendra Choudhary (Ph.D. student) and Dr. Kapil Ahuja accepted for publication in Linear Algebra and its Applications (Elsevier Journal), Oct 2017.